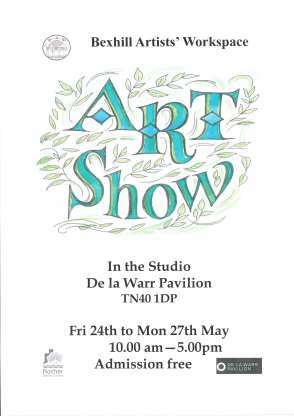 Bexhill Artist’s Workspace is a group of artists, designers and craftspeople from Bexhill-on-Sea and the surrounding area. We run winter workshops, summer events including outings, painting and social events and regular exhibitions and are dedicated to finding a permanent studio, workshop and exhibition space in the Bexhill area. This web site, bawuk.org , is intended to enable members and potential members of Bexhill Artists Workspace (BAW) to view pictures of recent events, the club’s calendar of events, and photos of members’ art work. BAW does not collect or process any personal information from this web site, except that, if anyone gets in touch via the ‘Contact’ form, their email address is visible to the web site administrator and any relevant officers of the association that the email is forwarded to. The web site does not give any members’ email addresses, but it does give contact names and telephone numbers for people who are organising specific events, when these contacts are also given in the printed newsletter. It also shows photographs of events and artworks, and sometimes these contain recognisable images of club members and members of the public. If any club member wishes for any contact information, or for any photo showing themselves or their work, to be deleted, then please get in touch with the website administrator using the ‘contact’ form on the web site, and the offending image or information will be deleted.